When youngsters find something that they enjoy doing, and enjoy doing it a lot, older folks usually find some excuse to bring the activity to an abrupt end. Perhaps too much of a good thing is bad for you but why buy you a PS3, Wii or X-box 360 if it’s not for playing on? As is common in such matters, the world of science yields opposing recommendations. In one camp there are scientists like Baroness Susan Greenfield, a neuroscientist and director of London’s Royal Institution (the purpose of which is said to be to “diffuse science for the common purposes of life”). She has voiced concern about the increasing amount of time modern living is placing us in front of computer screens or gaming consoles or even transporting us off into virtual worlds. “The new technologies are invasive and pervasive as never before,” she says, “and certainly in a way that the printing press, or the electric light, or the television were not.” She claims that solitary interaction with modern technology is changing the way our brains work, leading to emotional detachment from the world around us and presenting it as a series of tasks for immediate completion instead of taking the time to analyze, to theorize or even to enjoy. She fears that intense gaming and over-use of computer technology is leading to a generation of “emotionally stunted, inarticulate adult hedonists with tiny attention spans, who can’t differentiate between blasting away aliens on screen and happy-slapping grannies.” Powerful stuff. But it may surprise you to learn that this game-hating, computer-burning, virtual world-destroying brain-box has also put her weight behind one of the many computer-based brain training applications currently on sale. 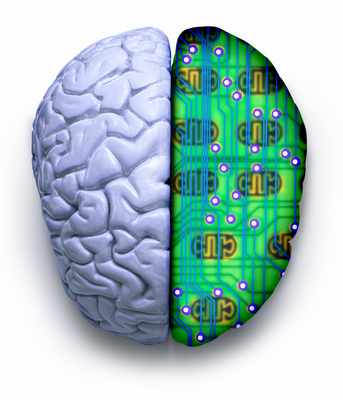 The software encourages users to solve puzzles, complete tasks and otherwise stimulate the little gray cells. But wait! She can’t say that gaming software is bad for you and then put her name to a software-based workout for the brain – can she? “There is evidence that such stimulation prompts brain cells to start branching out and form new connections with other cells,” said Greenfield. And a recent study in the US has provided even more evidence in favor of gaming. The results show that participants with larger nucleus accumbens (the reward or punishment part of the brain) “did better than their counterparts in the early stages of the training period” and those a larger caudate nucleus and putamen (associated with motor skills and cognitive flexibility) “did best on the variable priority training”. 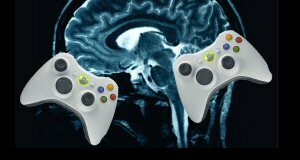 So gamers have bigger brains, in certain areas associated with learning anyway. Interestingly, the results leaned more towards revealing that some people are just blessed with better gaming skills rather than suggesting that immersed gaming increases brain size. But it all helps, right? If you’re a gamer, has your virtual existence ever overflowed into the real world? Do you study less, read less, learn less? 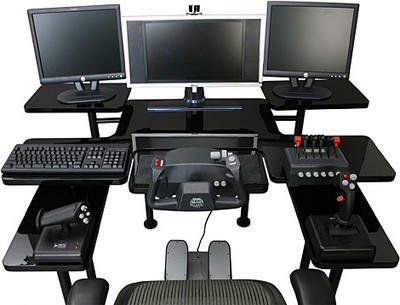 Do you think gaming has improved your life skills and learning potential?